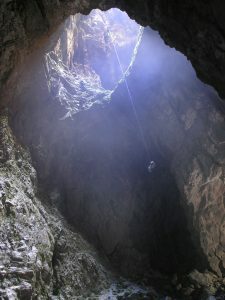 Spelunking through an underground realm, the likes of which could never be replicated to its most natural form, is the epitome of adventure travel. To journey the cosmic rock formations and unearth the mystery of weathered slag; a process that takes time and precision, is arguably one of the best ways to study life on this planet and possibly even the worlds beyond. 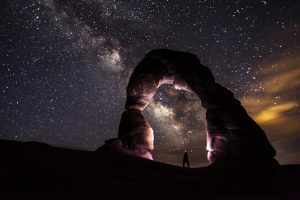 A deeper understanding of the universe that stretches light years before us could be closer than we realize as we expand our knowledge of tectonic force, atmospheric erosion, microorganisms and more through the twists, turns and tunnels of caves. Let’s start at the beginning. Minerals, gems, precious metals etc. Encrusted in diamonds, shrouded in gold and surrounded by crystal blue waters, it’s no wonder the locals say that Poco Azul is enchanting. 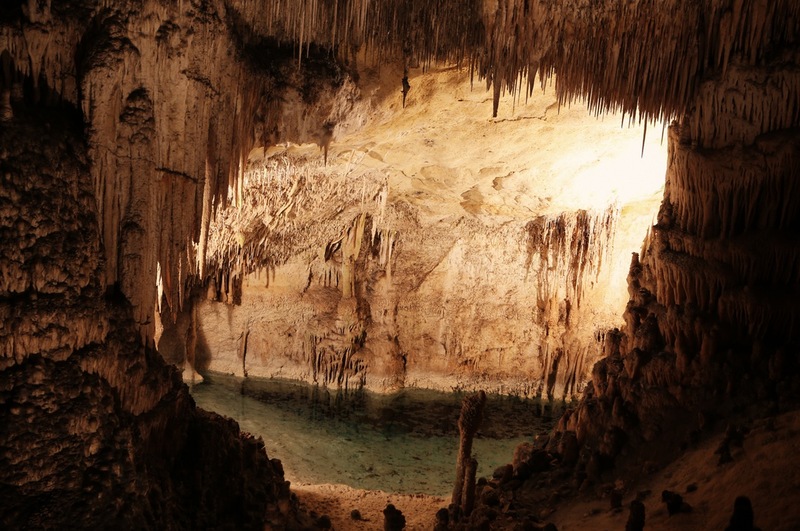 An underwater excavation through this colossal cavern is complete with rushing waterfalls and towering trees from a time long past; even the bones of undiscovered beasts have been uncovered between these walls. This is the stuff that legends are made of. See what happens when fire and ice come together to create a 1.8 mile cavern you won’t soon forget. 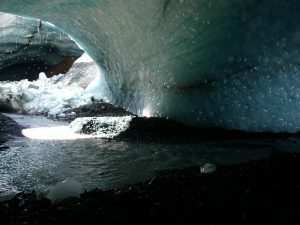 Earth science fans will marvel at the conditions that make this ice cave a reality—a glacier settled on the edge of a boiling hot spring. This adventure is not without its share of ever prevalent uncertainty, albeit the mountain range upon which it stands is abundant with active volcanoes. So vibrant and beautiful that one photograph alone could never do it justice. 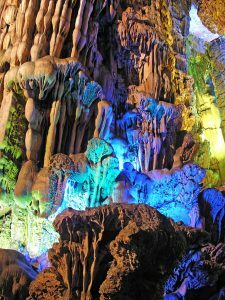 China’s Reed Flute Cave, which now basks in a Technicolor glow, is said to be more than 180 million years old and judging by its size and peculiar formations, it’s definitely seen its share of visitors. 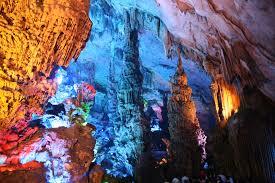 This cave is most well known for its Tang Dynasty notations which can be seen scrawled in ink along the walls. 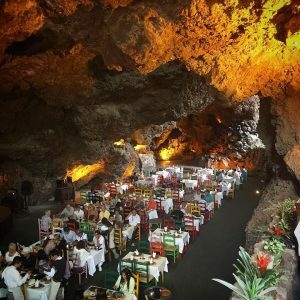 This cave and all other caves that have been converted into gathering places are uber cool. What sets Ali Barbour’s apart, aside from the limestone of course, is its exotic beach location, the amazing selection of seafood and the sunroof Mother Nature carved overhead that filters in the starlight for the ultimate romantic touch. Scientific evidence does little to prove and/or disprove the possibility or reality of life on Mars but one thing we know for sure is on Mars—Caves. Picture this for the wave of the future: Spelunking in Space. speleotherapy, martian caves and Coastal Morphodynamics. This topic and, notably all future topics, started as an offshoot of my very first documented obsession: Underwater Worlds. This webpage contains unaltered versions of Wikimedia’s Reed Flute Cave, Poco Azul, Vatnajökull – Kverkfjöll – Glacier cave , Caving in New Zealand and Flickr’s Mexico Restaurant Cave all of which were available under Creative Commons licensing. Thank you so much for reading it! You really just put a smile on my face. I’m using WordPress with InMotion hosting. The hosting costs a little bit of money (I paid about $100 for the year) but it’s well worth it. Their themes are seamless drag and drop and then if you know a thing or two about coding you can take the themes and customize them even more. I chose turquoise as one of the background colors because I’ve noticed as a vendor that turquoise is a subtle color but it really draws people in. Then I let the InMotion system show me a few different variations where turquoise was the background color. I’m stoked to hear that you like my layout because I spent almost a full month tweaking it, trying to get things just so. I hope this helps you and let me know if you have any other questions. Cheers. Muchas gracias por leerlo y gracias por el cumplido. I will be covering more topics this week. I really appreciate everyone who is taking the time to read and comment on my blog! I constantly spent my 30 minutes to see this webpage’s content everyday in addition to a mug of coffee. Perhaps you have considered about adding a little more than only the articles you write? I am talking about, what you say is fundamental and all. among the absolute best in its niche. Great blog! I have read so many posts but this paragraph is actually good, keep it up. Great information. Lucky me I just found your blog unintentionally (stumbleupon). Excellent blog post. I cеrtainly love tҺiѕ website. Great site. Presume you did a lot of your own research. the use of? Can I become your affiliate hyperlink in your host? I appreciate looking through your internet site. Thanks a lot! Please let me know if you’re looking for a article writer for your site. You have some really good articles and I believe I would be a good asset. If you ever want to take some of the load off, I’d love to write some articles for your blog in exchange for a link back to mine. Please shoot me an email if interested. Kudos! consider issues they plainly don’t recognize about. thing with no need side-effect , other people could require a signal. Surprisingly user friendly website. Huge information readily available as well! Cheers to your Obsession of the Day! I am sure this bit of writing has touched every one of the internet viewers, its really really fastidious paragraph on accumulating new weblog. publish a little bit comment to assist you. Whats up very cool web site!! Man .. Beautiful .. Amazing .. I will bookmark your website and take the feeds additionally?KI’m glad to seek out so many helpful info right here within the publish, we need develop more techniques on this regard, thank you for sharing. . . . . .
Good post. I be taught something tougher on completely different blogs everyday. It can all the time be stimulating to read content from other writers and follow a little something from their store. I’d favor to make use of some with the content material on my weblog whether or not you don’t mind. Natually I’ll provide you with a hyperlink in your web blog. Thanks for sharing. Wow, incredible weblog format! How long have you been blogging for? you make blogging glance easy. The entire aesthetic of your site is fantastic, let alone the content material! There is definately a great deal to understand about this subject. I needed to thanks for this fantastic read!! I certainly loved every tiny amount of it. I needed to be grateful for this great read!! I absolutely enjoyed every bit of it. Best wishes! Where are your contact details though? 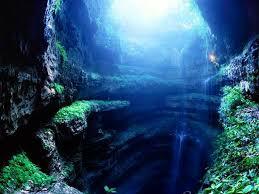 I would love to give you my insight on caves. I’ve been studying them for years. I absolutely love your blog and find a lot of your posts to be precisely what I’m looking for. Would you offer guest writers to write content in your case? I wouldn’t mind writing a post or elaborating on a few of the subjects you write related to here. Again, awesome web log! Hi! I realize this is sort of off-topic however I needed to ask. Does operating a well-established website like yours require a massive amount work? I’m completely new to running a blog however I do write in my journal on a daily basis. I’d like to start a blog so I can share my experience and feelings online. Please let me know if you have any kind of ideas or tips for brand new aspiring blog owners. Thankyou! Many thanks for supplying these valuable, healthy, revealing as well as cool tips on your topic.